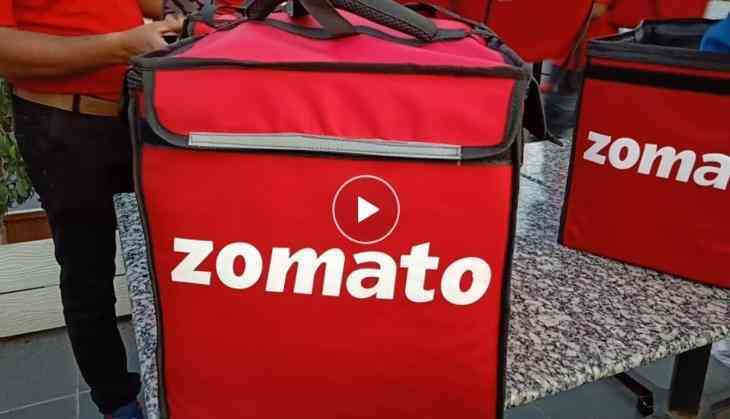 Home » Lite » Check how Zomato delivery boys standing in a long queue outside restaurant to collect orders of biryani; pic will blow away your mind! Check how Zomato delivery boys standing in a long queue outside restaurant to collect orders of biryani; pic will blow away your mind! Biryani is a national frenzy because of its varieties that hit the taste buds of foodies. When we heard the name of biryani then definitely the first city name strikes to our mind is Hyderabad, which is, of course, famous for the extraordinary taste. The love of Biryani in Hyderabad is world famous. Not only Hyderabadis but tourists also love this delicious dish. Recently, a viral picture has also proved how much Hyderabadi love to eat Biryani. A picture has shared by Zomato on its official Twitter account which showed how delivery executives standing in a long queue outside the restaurant to collect the orders of biryani. Check out the pic that will blow your mind! Zomato also revealed the location and name of the restaurant from where the picture was taken. Interestingly! the restaurant recieves as many as 2,000 biryani orders each day only from Zomato. However, this picture went viral when the food delivery app uploaded the picture on social media. Its true, Bawarchi witnesses this quite often. Looking at this, your delivery fleet management algorithm can definitely improve. Presents a big scope for delivery batching. While many users make a fun of the picture and trolled Zomato. 1 - Zomato boys should get proper waiting room and changing room. 2 - Ministry of Labor should take note of bad working conditions for Delivery guys.